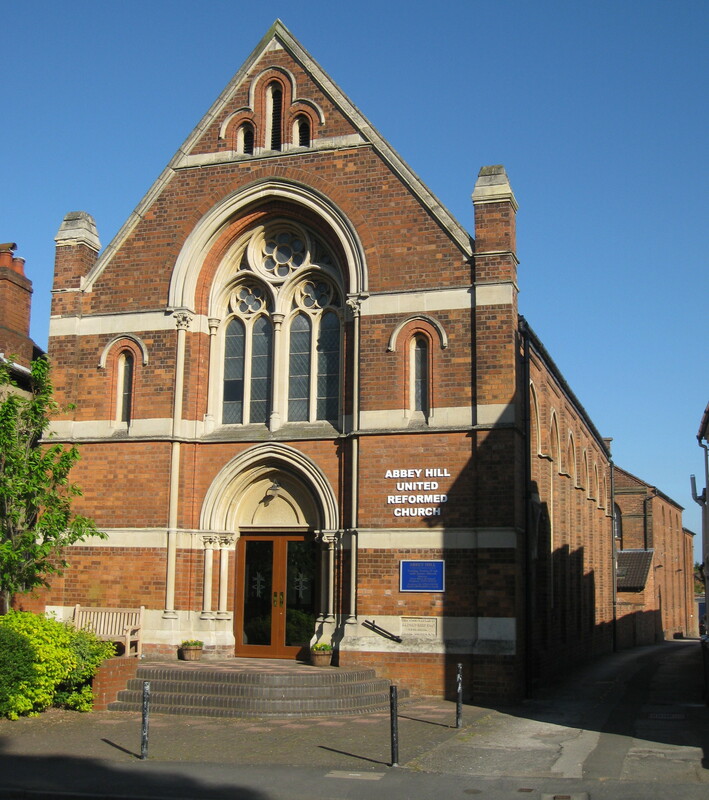 Abbey Hill URC is a member of the United Reformed Church in the United Kingdom. 1. We are an inclusive church. Being inclusive means that we welcome everyone, irrespective of their colour, creed or culture. We are all together on life’s journey, open to give to and receive from whoever comes through our doors. 2. We are an open questioning church. We need to be a questioning Church. With a questioning mind, a humble attitude and a loving spirit, we can all be led deeper into the mystery of God, finding meaning, purpose and self -fulfilment for our lives. 3. The life of Jesus is our guide. The life of Jesus is our guide, discerned through the New Testament and other sources. 4. We live in the present with love. We share food, fun and fellowship and a loving concern for each other. We reach out into the community through our Thursday morning Coffee Pot and through local organizations such as the Food Bank and King’s Table. 5. We look to the future with hope. We support Christian Aid and other organizations who work to eliminate injustice, violence and poverty, to pursue peace and reconciliation and to protect the environment. 6. We share our spiritual lives together. Through worship, led by our Minister Mhari, our Worship Group and visiting worship leaders and through discussion groups exploring our faith and our questions, we share our spiritual lives and help each other on our spiritual journeys. We share life events with fellow members including baptism, membership, marriage and support in bereavement. Our children are nurtured through our Junior Church teaching. The Church is situated on Abbey Hill overlooking the historic Abbey Fields and castle in Kenilworth, Warwickshire. 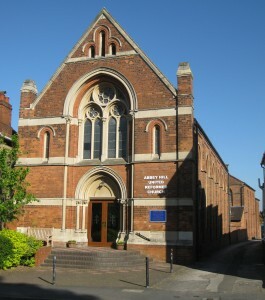 Abbey Hill is a member of the Coventry and Warwickshire District which consists of 17 United Reformed Churches and 3 Ecumenical Churches. We are also part of the West Midlands Synod of the United Reformed Church which stretches from Herefordshire in the south to Staffordshire in the north. We invite you to browse the website, attend services or join in any of the activities.